This weekend we DIDN'T kayak. At all. Theo made a vegetable garden. Snap peas, eggplant, pepper, zucchini, lettuce, strawberries, a fig, flowers and herbs to keep the bugs at bay. 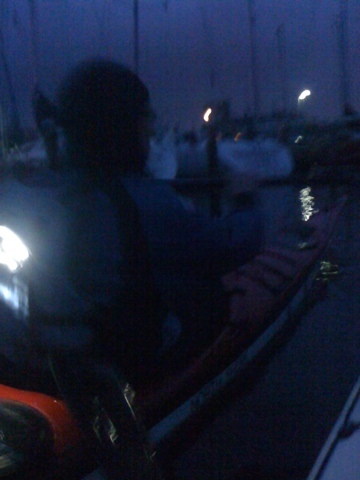 But it took longer than planned and we decided to paddle on Monday evening instead of Sunday afternoon as we had hoped.